Are More Indictments from the Mueller Investigation Imminent? 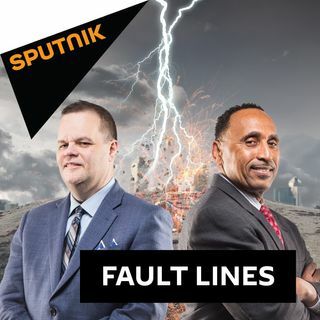 On this episode of Fault Lines, host Garland Nixon and producer Eric Ladny discuss the possibility of new indictments coming from the Mueller investigation. Will any major players get charged, or are controversial characters such as Jerome Corsi and Roger Stone all that remain on Mueller's radar? Hosts Lee Stranahan and Garland Nixon have been reporting on Bill Browder and the Magnitsky Act for over a year despite minimal coverage from the mainstream media. Writer and film director Andrei Nekrasov joins the show to update listeners on the story and to discuss a recent panel event about the Magnitsky affair held in London. This week, world leaders gathered to mark the 100th anniversary of the end of the First World War. James Corbett, founder of the Corbett Report, returns to the program to talk about the misconceptions and hidden details that brought about the start of the deadly conflict. Violence has broken out again in Gaza following a controversial Israeli commando raid. Co-founder of The Electronic Intifada, Ali Abunimah, joins the program for the first time to give a report on the turmoil in Gaza and to discuss the resignation of Israeli Defence Minister Avigdor Lieberman. The mainstream media has blatantly ignored recently declassified documents that prove the CIA conducted illegal activities by spying on Congress and potential government whistleblowers. Former CIA officer and host of 'Loud and Clear', John Kiriakou, joins the show in-studio to talk about John Brennan, James Clapper, and the possibility of future criminal indictments these individuals.